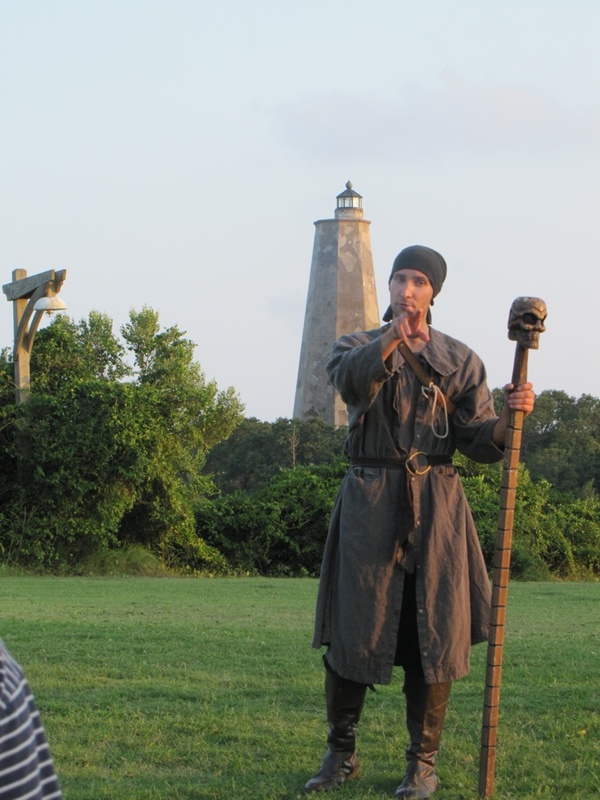 Some of my favorite adventures on Bald Head Island have been with Riverside Adventure Company and they've just expanded their lineup with two great things - a ghost walk and electric bikes. I'll tell you about the electric bikes in another post, this one is for the ghost walk. Starting in the harbour, the pirate Colonel Dread spun tales of Bald Head Island's otherworldly past, leading us through the maritime forest to the foot of Old Baldy and meeting up with Darcy Ladare, who picked up the tale and, mixed with a little song, led us out to the beach and ended the walk on the beach. I'd tell you more about it, but I already did on Bald Head Island's blog The Island Times. Read the whole story here.